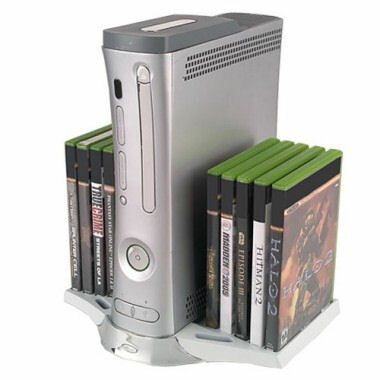 Vertical Stand w/ Game Storage X360 by Intec. Allows you to secure your Xbox 360 in a vertical position while at the same time display your coolest games. Vertical stand front is finished with a chrome look to match your new Xbox! 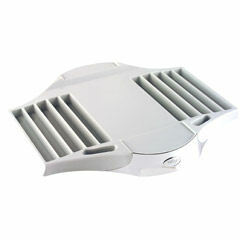 Stand stores up to 10 game cases and 2 memory cards.